The lure of Taos, New Mexico, aided by Mabel Dodge Lujan attracted Dorothy Brett to Taos. Usually referred to as “The Brett” by the inner circle in Taos, this long lived woman added a charming eccentricity to the art colony. She was the daughter of Viscount Esher, a close advisor to Queen Victoria. Brett and her sister took dancing lessons at Windsor Castle. The sister went on to become the Ranee of Sarawak and remained true to her class, but Dorothy became a bohemian. She chopped off her hair and entered the Slade Art School; and took up with the renowned Bloomsbury Group. Some of her friends were George Bernard Shaw, Virginia Woolf, Aldous Huxley and D.H. Lawrence. She sketched many of these famous people. At 27, Dorothy Brett was deaf. Until late in her life she carried an ear trumpet, but never let it get her down. Throughout her life she had a beguilingly alert, youthful humor. Brett was small and dressed in exotic smocks, Indian gear and bejeweled headbands. Brett came to Taos with D.H.Lawrence in 1924. Well into her late years, Brett painted. Her work is almost child like and primitive, a swirl in decorative line. She painted her favorite subjects, Taos Indian celebrations. Her abundant work includes portraits, Indian dancers, and landscapes with mystic symbols. 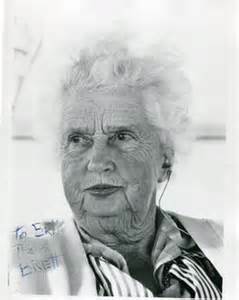 Brett died in Taos, August 1977, where she lived for many years. Her life was the subject for many books, one of the best is her own Lawrence and Brett.